An enormous storm system that swept through the deep south last weekend left behind it a path of heartache and destruction. Little towns across central Georgia seemed to bear the brunt of these storms, leaving 11 people dead and several more injured as well as a wake of destruction miles wide. 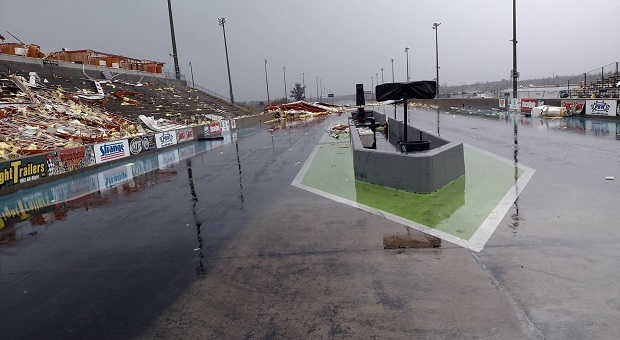 Along with this devastating news, drag racing fans were also informed that a popular track received extensive damage which could easily have prevented the start to their 2017 season. Officials from South Georgia Motorsports Park confirmed that there was significant damage to this legendary racing facility after a tornado ripped through Cecil, GA around 4:30 a.m. on Sunday morning. 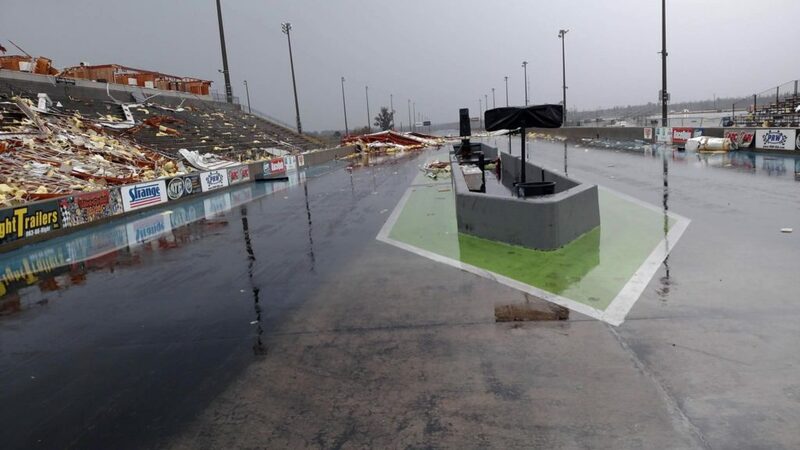 Along with a row of suites above the main grandstand being leveled and thrown onto the two-lane track, two light poles were also blown over in the shutdown area. Despite this damage, officials say that the cleaning process has begun and they are planning to have the facility fully operational in a few days. In fact, we are hearing that NHRA Points Race Weekend, on the weekend of Feb. 4-5, will go on as scheduled. 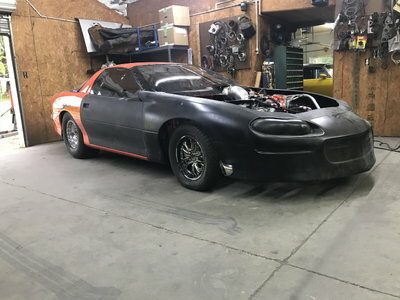 In the meantime, we wish a speedy recovery to this drag racing facility as well as to all those who were injured in this weekend’s storms.